I forgot that I made this mod a while ago and have never released it, I decided to tweak it a little bit more and release it. For those who doesn't know,what is Gun Game? Gun Game is a game type where you start with a gun and award a new gun each kills until you reach the last gun and win by killing. You revert to the previous gun if you get bashed (and if the settings permits it). Put the settings folder, the zzz_gt-gungame.pk3 file, and eventually if you want the mod to be active for all maps, the zzz_gt-gungame-allmaps.pk3 file in the "main" folder of the game, like "C:\MOHAA\main". 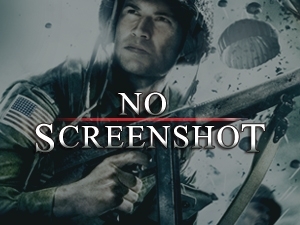 Start a server with the reborn patch on mohdm7, gun game will now be active. The settings for the game mode are available in "settings/gungame.txt", there is a documentation for each settings. The game mode can also be disabled by setting "g_gungame" to "0", and "1" to re-enable.